What hot and dry weather we’ve had! We’ve been running the irrigation system non-stop. I wouldn’t complain if it starts to rain. 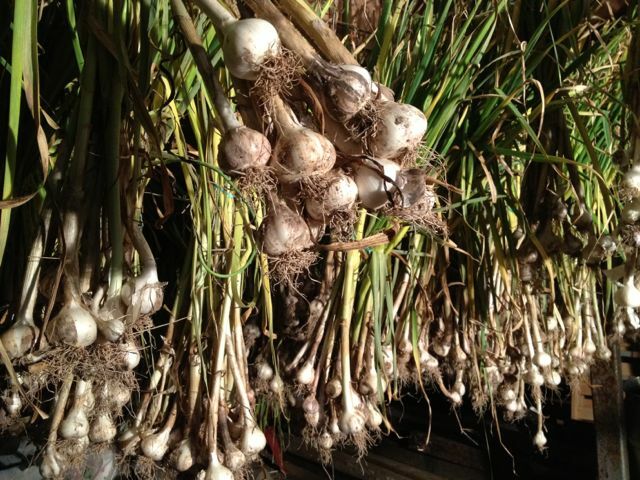 The dry weather has made drying garlic easier, and it is starting to feel like we live in the Mediterranean. 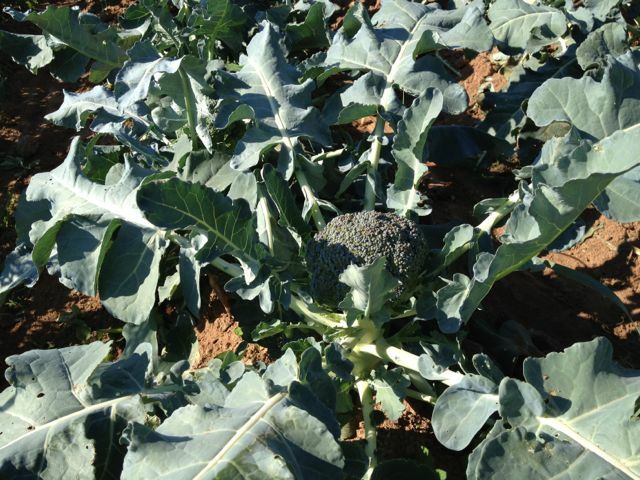 New items in the pack this week… broccoli, tomatoes, and fennel! 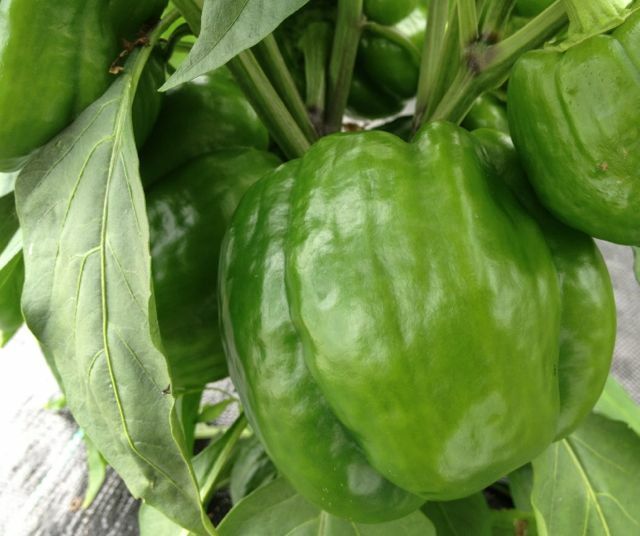 We will also include sweet peppers, arugula, head lettuce, cucumber, zucchini, tomatoes, little juicy summer onions, basil, parsley, garlic, fennel, eggs, and raspberries. 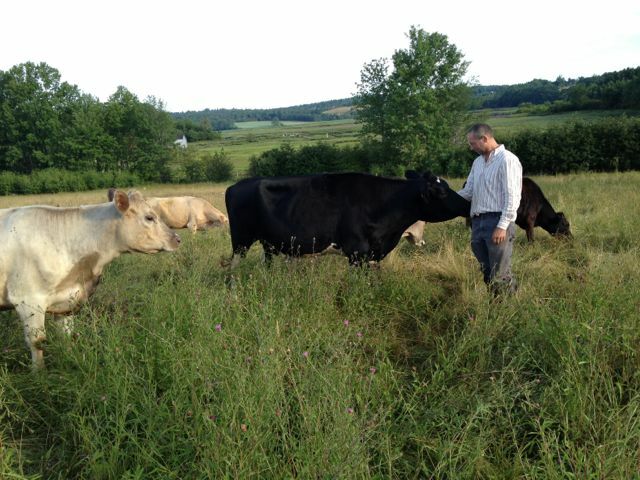 We may also have grape leaves, pickling cukes, dill, and kale for the kale chip lovers. Fantastic summer salad: Fennel (slice thinly), garlic, basil, sungold tomatoes, cucumber, arugula and make a salad with that. Another fantastic summer salad: Arugula and halved sungold tomatoes. The sweet of the tomatoes complements the nutty bitter of the arugula. Salad dressings: Home-made salad dressing can save a lot of money on the grocery bill and also reduce sugar intake. Commercial salad dressings have a lot of sugar and other additives in them. Salads at this time of year can be dressed up with small amounts of sautéed mushrooms, beets, bacon pieces, etc. Very simple dressing: In a small jar, add one cup of olive oil, half a cup of lemon juice, 1 tbsp honey, a slosh of some fruit juice, and a little salt & pepper. Shake well. It will keep in the fridge for a week or two. Or, make the very simple dressing, with garlic pressed in. Or, make the dressing above, with dill, and plain yoghurt or sour cream added. Looking forward to seeing everyone this week, and the Halifax folks at Victoria Park. There’s a new woman after my husband and she has a very soft nose. 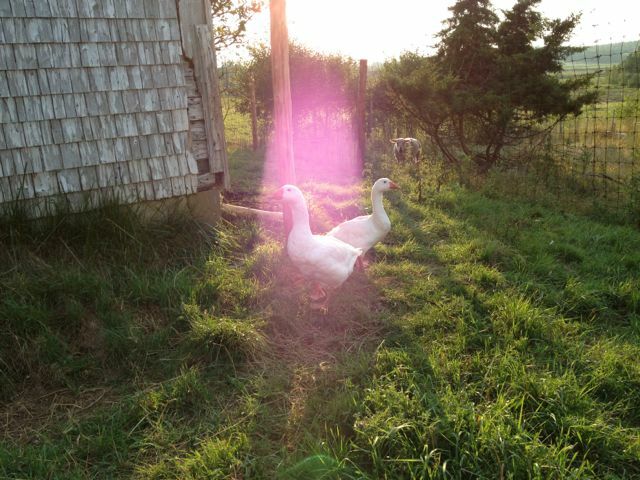 The geese seem to have a special purple aura, or maybe they are experimenting with extra-terrestrial transportation. 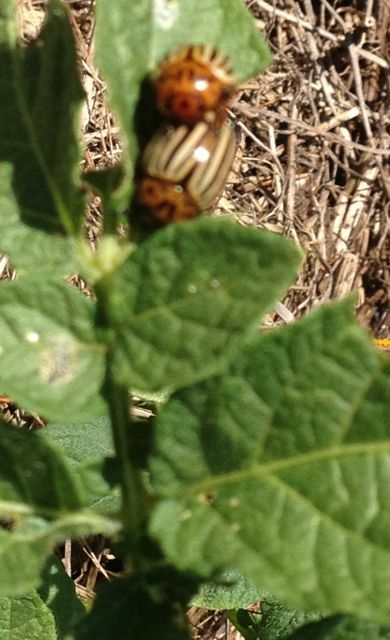 First prize for worst pest: Colorado Potato Beetle. Don’t worry, we didn’t let them continue with their intimacies.